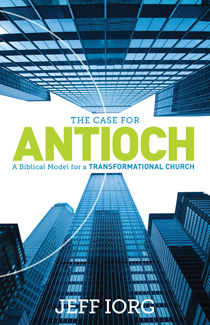 Seminary president Jeff Iorg looks back at the New Testament church in Antioch to find a biblical model of what healthy churches should look like today. Advising a principled approach in the context of this comparison, he shares methods for measuring church health that are based on hard data as well as discernable spiritual realities. Key areas of discussion include a church’s need to emphasize the empowering of the Holy Spirit, advancing the gospel, changing lives, maintaining doctrinal integrity, resolving conflicts, strong leadership, and sacrificial living. Jeff Iorg is president and chairman of the faculty at Golden Gate Baptist Theological Seminary. He holds degrees from Hardin-Simmons University, Midwestern Baptist Theological Seminary, and Southwestern Baptist Theological Seminary. Iorg and his wife Ann have three children and live in Mill Valley, California.